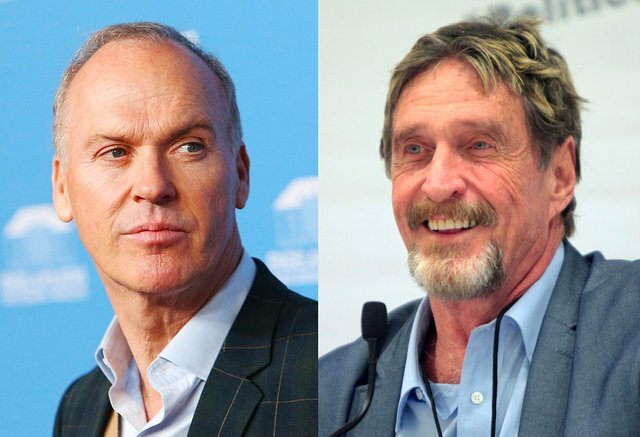 It appears as though Michael Keaton will replace Johnny Depp in a movie about John McAfee titled King of The Jungle. McAfee confirmed the news in a Tweet, and stated that he had personally lobbied against Deep playing him in the movie, which has been described as more of a dark comedy than a biopic. McAfee also stated wanting Morgan Freeman for the role, but the actor refused. McAfee has made quite a name for himself in the blockchain space, making some of the most outlandish predictions and bets concerning the value of Bitcoin. The movie, which focuses on his blurry time in Belize, will hopefully touch upon his current status as one of blockchain's mainstream figures. The film currently does not have a distributor, but already has financing from Conde Nast Entertainment, Zaftig Films, MadRiver pictures, and Endurance Media. Glenn Ficarra and John Requa, who directed 2009 black comedy film I Love You, Philip Morris, are attached to the project, as well. I cannot picture Jonny Depp playing as McAfee. personally i think Keaton is a better choice. He did well as Ray Kroc and has been making a come back in his career. Also, Morgan Freeman as McAfee....???? Thats hard for me to imagine. MF seems to nice to me to play that character. But then again, they both have a sort of soft lulling voice.... so maybe? The McAfee documentary "Gringo" was pretty interesting. I look forward to seeing the upcoming movie. This sounds like it could be interesting, I find McAfee and his strange life to be very interesting.